Best Android phones with good battery in Nigeria. One of the areas many smartphone users look out for when buying a new phone is battery capacity. It’s interesting to see how smartphones have evolved in recent times with state of the line quality camera, powerful processor, and visually amazing resolution and advanced operating system. While it’s good to have a device with quality specifications, it’s worth mentioning here that the more powerful a device is the more battery juice will be needed to keep it running. According to findings, 8 out of 10 people in the developing countries will choose a device with better battery juice than one with all the high ends specs. This may not be attributed to the fact that they are cheaper than the high-end counterparts but the trend could be traced to non-availability of power supply. In this post, I have taken the time to list out the Top Best Android phones with good battery in Nigeria. So for those of us looking for good battery phones to buy, the list will definitely be of help. Infinix is an affordable Android phone with good battery life. It has a 5.5-inch IPS HD display, Android 6.0 Marshmallow, 2GB of RAM and 16GB of internal storage. In terms of camera, you get an 8MP at the back and 5MP at the front. The battery capacity is 4000mAh. You can get the device on Jumia here at a price of N56, 000. This is another android phone from Tecno with good battery life. Tecno L8 Plus is a 5.5-inch HD smartphone that comes out of the box with Android 5.1 Lollipop, 2GB of RAM, 16GB of internal storage and 5050mAh battery. You can get the smartphone on Jumia here. 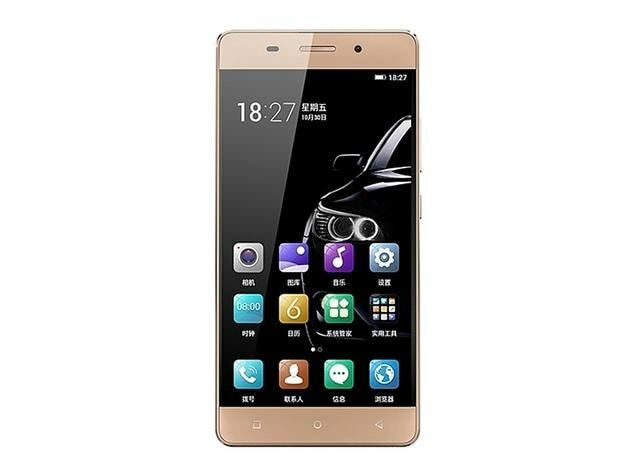 Another great phone from Gionee but a bit expensive. In terms of display, Gionee M5 Plus sports a massive 6.0-inch FHD Amoled display and booted Android 5.0 lollipop out of the box. It has 3GB of RAM, 64GB of internal storage and 13MP back camera and 5MP front camera. When it comes to Android phones with a good battery, Tecno, Infinix and Gionee are your best buy. No wonder their Android phones are the most listed among Best Android phones with good battery in Nigeria. Finally, Battery life is one of the key factors you should consider before you make up your mind to buy your next smartphone. It’s my belief that this list of the Best Android phones with good battery in Nigeria will guide you when deciding to buy your next smartphone. It will be very hard or not possible at all to get a phone that has 2Gb RAM and sold for less than 40k. i think the pouvoir 2 should top this list, cos a device that lasts up to 96hrs is definitely the best power device ever. Nice list, but i think there’s a mistake, the hot 4 pro has 13 mega pixel at the back.